Well done to the choir and the instrumentalists who took part in the Sound of Action Concert in aid of Action Cancer at St Annes Cathedral on the 6th of December. A tremendous amount was raised for Action Cancer and congratulations must go to the soloists Joel McBurney and the wonderful musicians Ethan Sproule, Catherine Rossiter, Rebecca Dameral, Rebecca Rossiter, Ellie Rose Kelly and Jason Craig who performed so well on the night. Well done to Rebecca Rossiter and Ellie Rose Kelly who passed their flute grade 2 with merit this month and Katie Atkinson who passed her grade 1 with merit also. Well done girls you deserve this result. 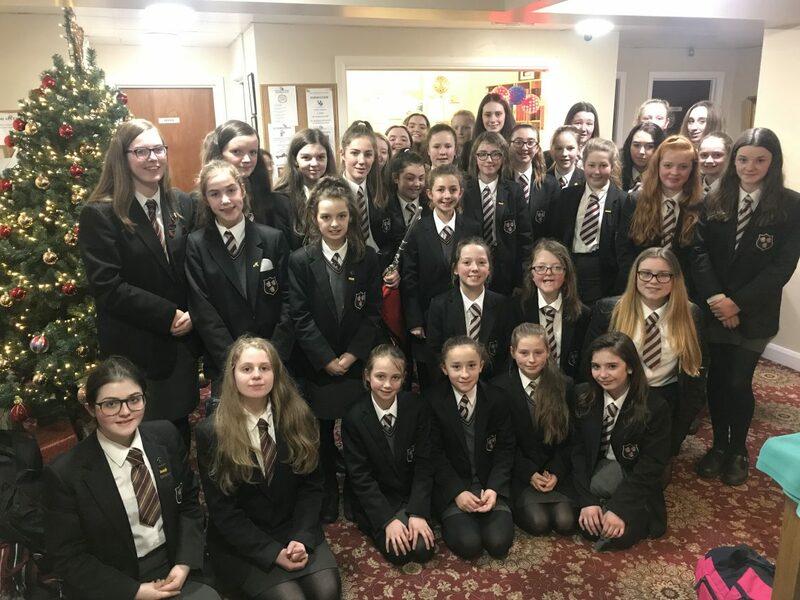 Thanks to the choir for all their hard work this year and good luck singing at the Silverbirch Home on Monday 17th December, always an enjoyable outing for all concerned. Show Jumping Success for Hannah!